Since 1972, the Renison English Language Institute (Renison ELI) has offered all students high quality, personalized and meaningful English language instruction to support their future success. At the ELI students become part of an exciting academic and social community. 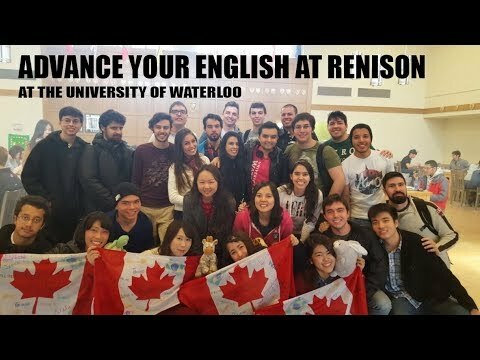 Located in Renison University College at the University of Waterloo, Renison ELI supports more than 1000 students from 35 countries each year in achieving their English language goals. You are welcome to contact us through WeChat (RyanConnell) or by email (eli@uwaterloo.ca). We would be happy to answer any questions you may have. English for Academic Success (EFAS): English for Academic Success (EFAS) is an academic English language program offered at 4 levels. All EFAS levels have been benchmarked to the Common European Framework of Reference (CEFR), a global standard in English language proficiency. EFAS levels range from CEFR A2 (level 100, low intermediate) to CEFR C1 (level 400, advanced). EFAS is a unique program designed to meet the academic English language goals of the students. Courses offered include Academic Skills, Writing Skills and Oral Communication.